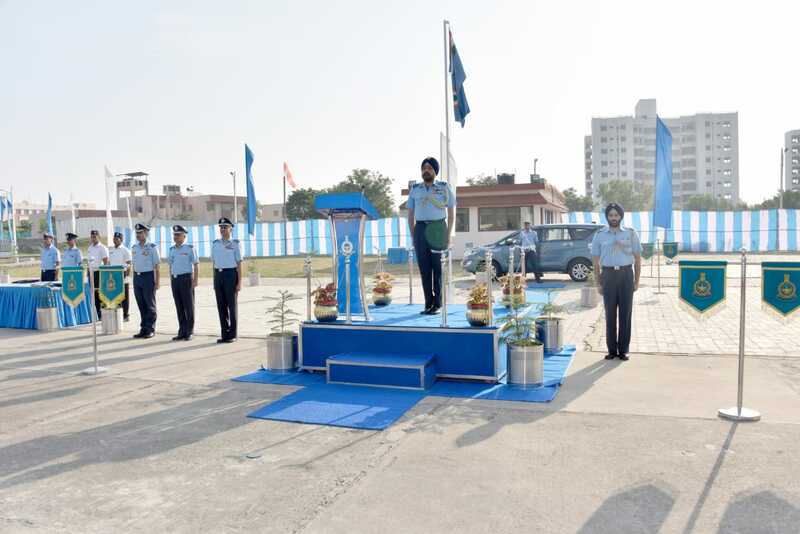 Indian Air Force celebrated its 86th anniversary on 08 October 2018 Monday. 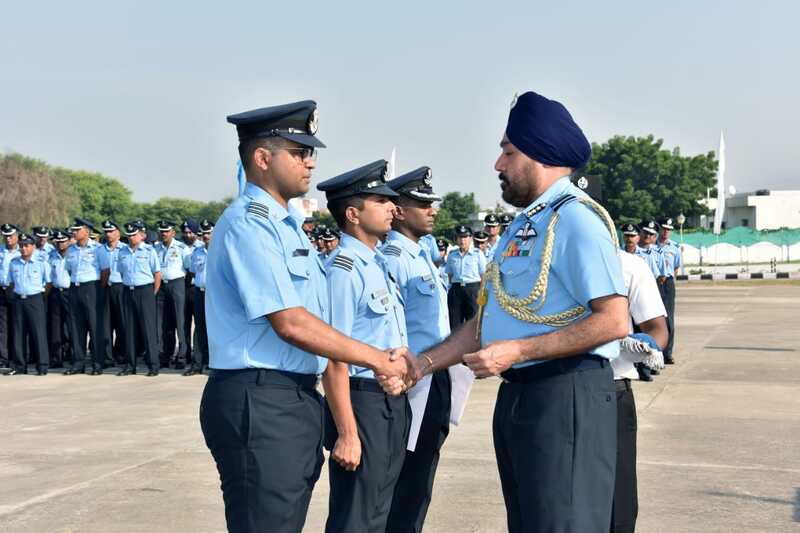 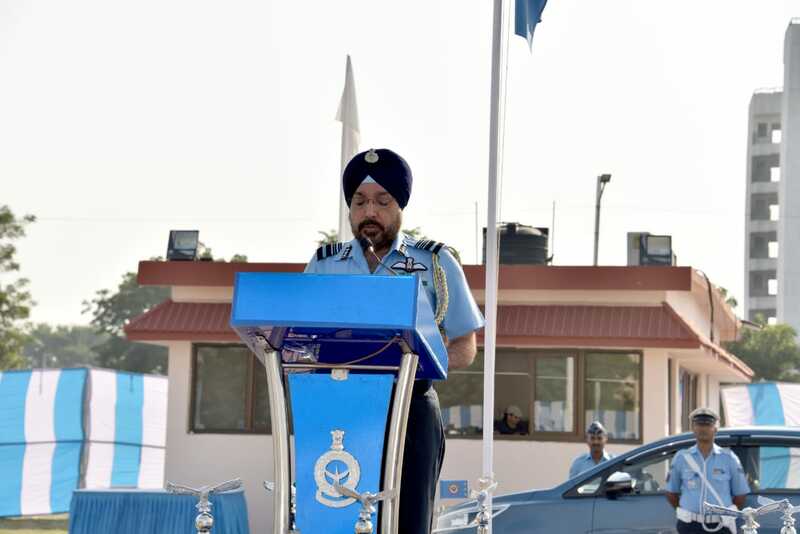 Air Marshal HS Arora AVSM, Air Officer Commanding-in-Chief, South Western Air Command administered oath of allegiance to all Air warriors, NCs(E), DSC personnel and Civilians working in HQ SWAC during oath-taking ceremony. On this occasion, the Air Marshal addressed the personnel and gave away Commendation certificates to meritorious personnel. 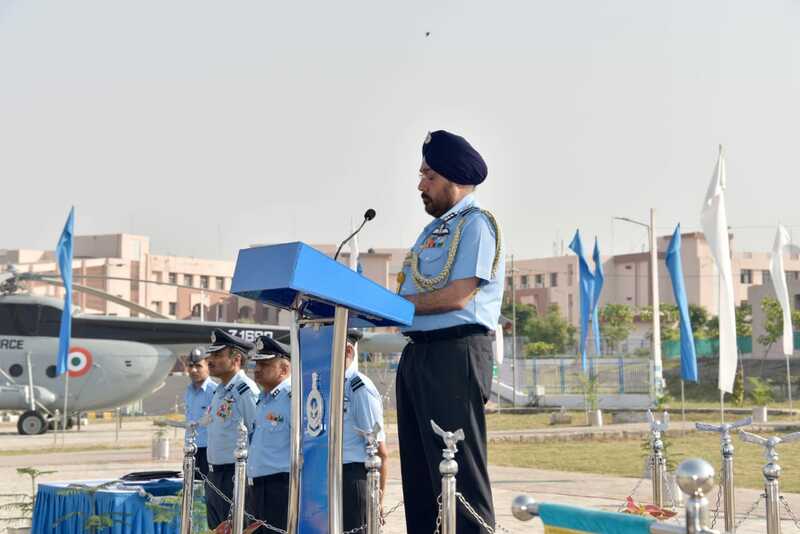 In his address, the AOC-in-C appreciated personnel for their dedication, hard work, competence with high standards of professionalism and urged them to uphold the highest standards of service ethos and discipline which are the hallmarks of any professional Military Force. 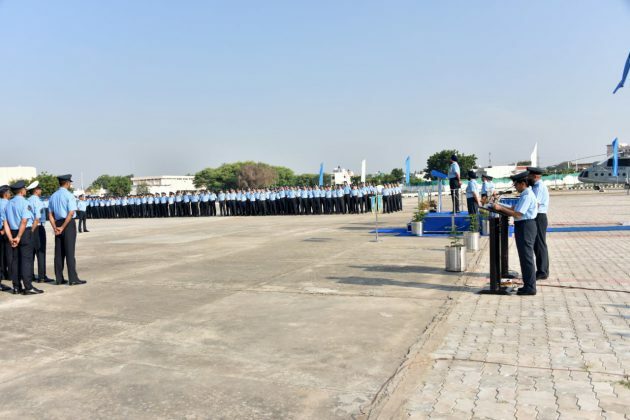 He also highlighted the initiatives taken by SWAC for improving infrastructure, sports facilities and enhancing quality of life of personnel.